@abdyng Sorry I only support T2Laser software. @GMarc Is that an RC servo for the Z or a stepper? 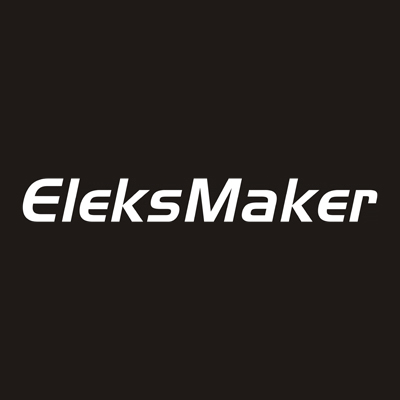 If it's a servo you'll need to use the Eleks firmware from the custom menu and configure it for EleksLaser + Servo from the menu. It works like a laser, where the PWM controls the servo so not really a Z-axis. If it's a stepper you just enable CNC mode and it works like a Z-axis. //#define HOMING_CYCLE_0 ((1<<X_AXIS)|(1<<Y_AXIS)) // NOT COMPATIBLE WITH COREXY: Homes both X-Y in one cycle. -> #define HOMING_CYCLE_0 ((1<<X_AXIS)|(1<<Y_AXIS)) // NOT COMPATIBLE WITH COREXY: Homes both X-Y in one cycle. //#define HOMING_FORCE_SET_ORIGIN // Uncomment to enable. -> #define HOMING_FORCE_SET_ORIGIN // Uncomment to enable. #define HOMING_CYCLE_0 (1<<Z_AXIS) // REQUIRED: First move Z to clear workspace. #define HOMING_CYCLE_1 ((1<<X_AXIS)|(1<<Y_AXIS)) // OPTIONAL: Then move X,Y at the same time. I'm sorry, but I don't understand your comment. @karl79 The resolution of the machine exceeds that of the laser so isn't really important. Positional accuracy is approximately 0.025mm (25um) but the laser spot size for 2.5W is 0.15mm (150um) so you are limited by the laser not the machine. Wavelength is near UV, 405 to 445nm commonly called a "Blue-Violet Laser" and were originally used in Blu-Ray DVD's and now in projectors or 3D resin printers. I am about to fit 'Home' switches to my 650 x 500 laser engraver machine. I cannot source long cables to make full use of the available area on this machine so I will have to make up my own, I think this is fairly simple to do ?? Paquete Incompleto y sin inventario. How to bring a Z axis to A3 Pro? @nnny31 If you have a true Z-axis (motor) you just need to generate 3-axis G-code. T2Laser supports this in either laser mode (for focusing) or CNC mode for a spindle. Hello, have you managed to operate the 5.5W TTL laser? @OneZero It's unlikely you'll get a reply here, this forum is mainly user-to-user support. Why don't you just purchase the 5.5W and keep the 2.5W as spare? The 2.5W is better for engraving as the spot size is smaller (more detailed results) but for cutting the 5.5W will be faster. If you want to engrave and cut the 2.5W is a good universal laser. @ChristiaanZ Yes. It will be sufficient for light CNC work. I received the board I ordered the other day. The new board works properly. It is no longer freezing on the way. Probably the cause was on the board.